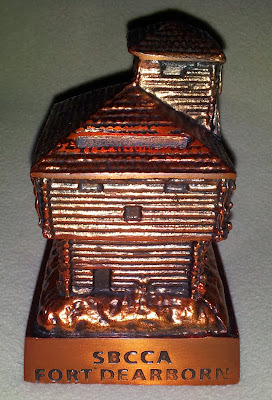 I wrote previously about souvenirs from the Souvenir Building Collector’s Society conventions (SBCS). 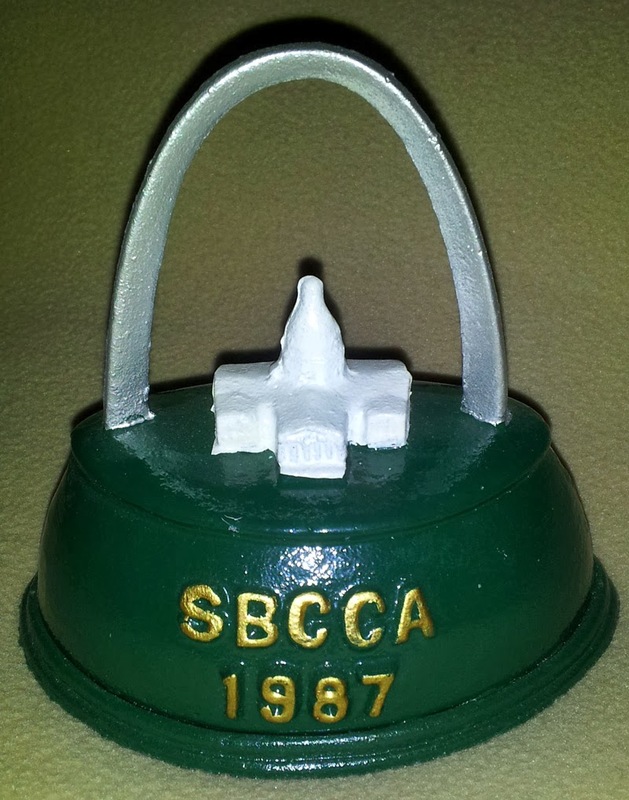 Another collector’s group, the Still Bank Collectors Club of America (SBCCA) also produces a commemorative souvenir bank for their annual conventions. Sometimes these are designed to be building banks. 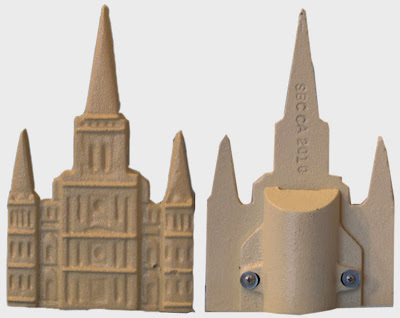 Below are photos and some info about the coin bank buildings I compiled with the help of Marty G. and SBCCA historian Gene M.
2013 convention held in Chicago and souvenir piece was a building bank replica of the Fort Dearborn. Here is a lengthy, but interesting video from the 2013 SBCCA convention about the process to create metal coin banks. 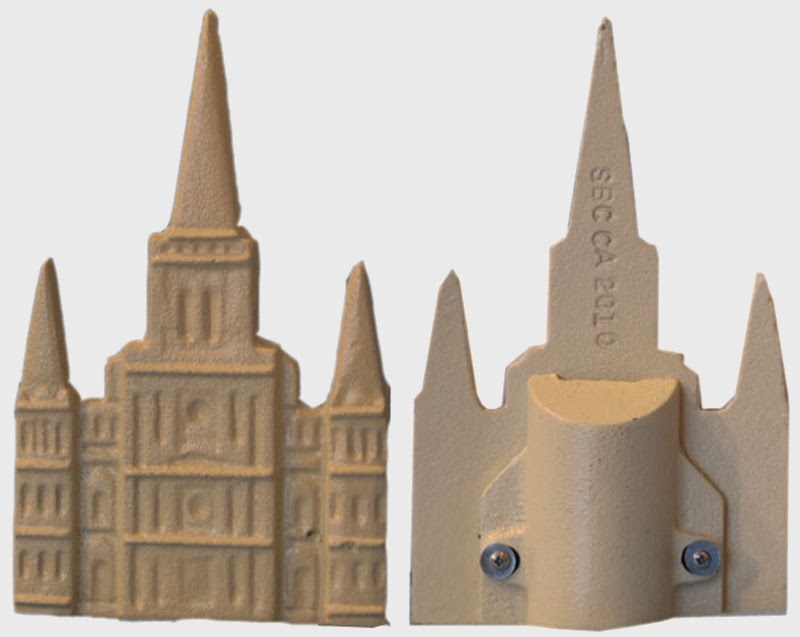 2010 convention was in New Orleans and featured a replica of the St. Louis Cathedral designed by Don Duer and cast by the Talladega Foundry in Talladega, Alabama. 120 banks were manufactured. 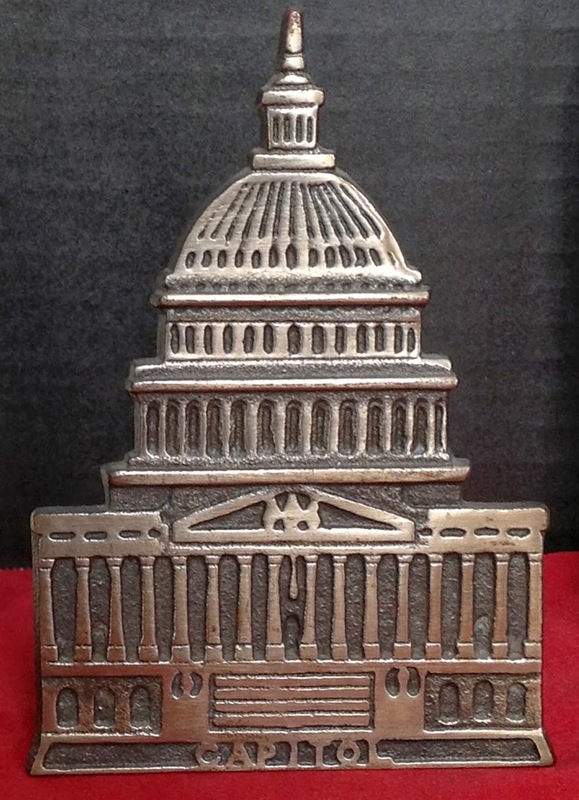 2008 convention was in Orlando, Florida and InFocusTech designed the Suntrust building made of metal alloy. The 2008 convention bank is a fine replica of the SunTrust Building in Orlando, Florida. 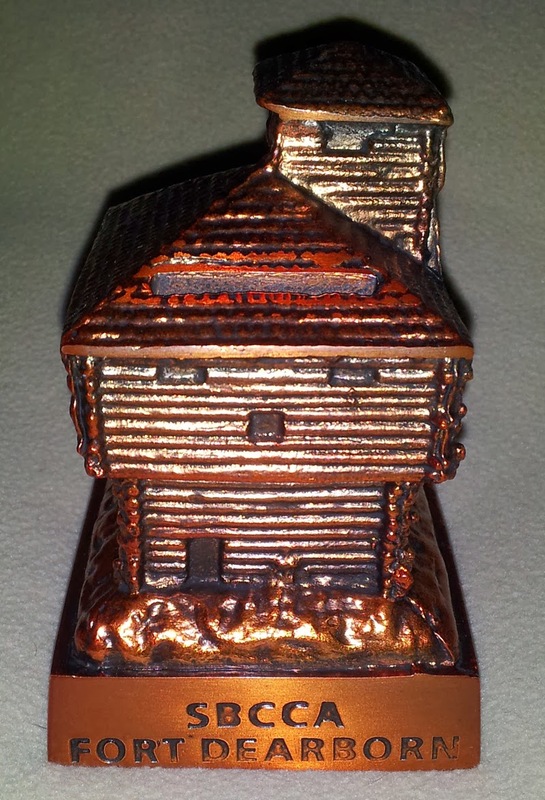 At 5 1/2" tall, It is colorful with a coin slot is in the bottom. Each bank is serially numbered. A low production run, as only 150 were crafted. 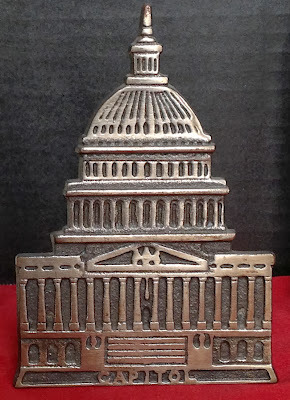 1) A flat, cast iron "Capitol" was designed by Don Duer. Originally painted by Jeanie Egelhoff. The Capitol Bank, was available in different color varieties: White, Spruce Green, Colonial Red or Deep Blue. Each bank is also nicely trimmed in gold gilt. 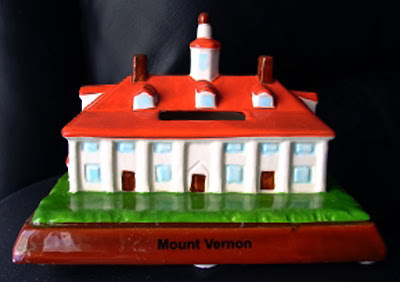 2) A five-color ceramic replica of George Washington’s home, Mt. 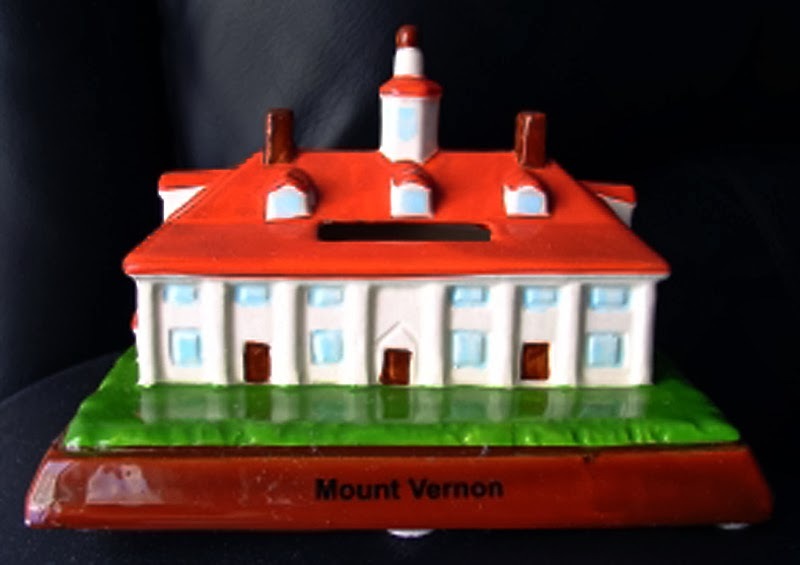 Vernon, was made in Germany by club member Ulrike Riegraf-Blank. Approximately 150 were made. 1987 convention was in St. Louis and the old courthouse building under a St. Louis Arch was made in cast iron on a large oval base.